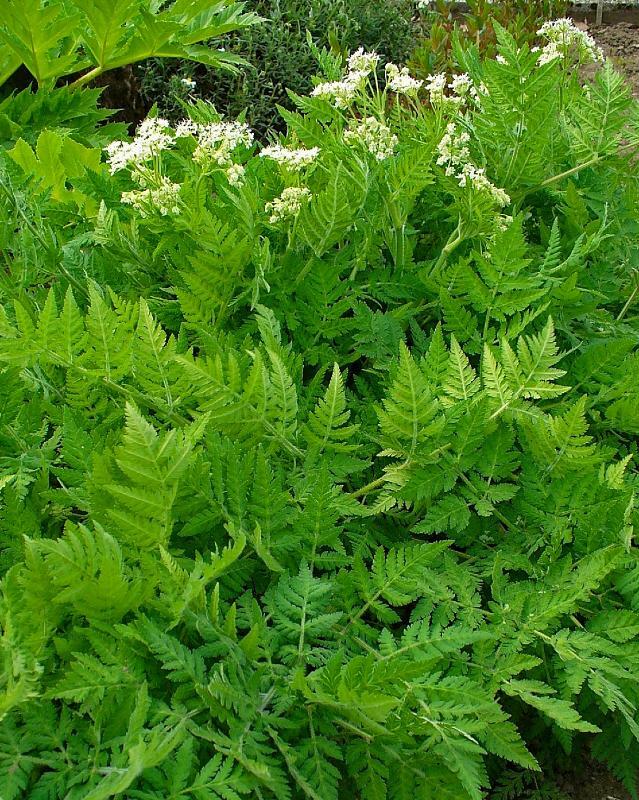 Myrrhis odorata is commonly known as 'Sweet Cicely'. A plant worth having as it just has something about it! Foliage dies down in winter, but in the spring it produces soft, hairy, pale green leaves with odd splashes of white. 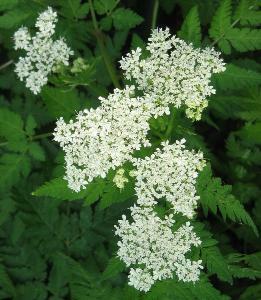 Flowers are 'typical' cow parsley type, small umbels of white during the summer. It also produces spindle shaped fruits that are green in summer turning to pale brown in winter. 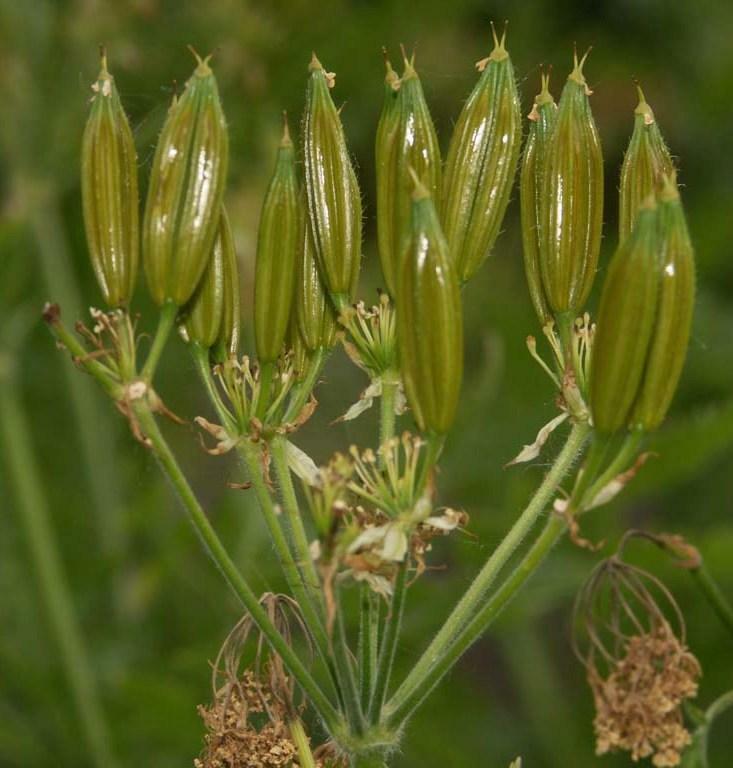 When brushing past the plant in the garden it releases an aromatic scent similar to aniseed. Prefers part shade, in a fertile, moist but well drained soil. Hardy. Height 1.5m, spread 1m. Supplied in a 9cm pot.